I stumbled upon something I want to share with the entire drone community. I was planning on launching my youtube channel in the next week or 2 but I will rush this to production as soon as I can. The title is going to be something like "Add Nav Lights AND FPV! 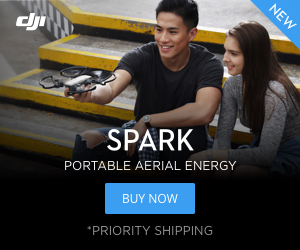 TO ANY DRONE IN 1 Minute for $15" ....This is NOT click bait. If you can operate a smartphone you can do this mod. A 7 year old can do it. You can buy it anywhere Globally for around 15 bucks (you have to shop around) I paid $15US. I will be using the Tello for demo of course! There are several added features you get IF you use TelloFPV! There are so many features yet this is so simple. I'll get the the vid up A.S.A.P. Fully adjustable Camera Can be pointed in ANY direct you chose. Even reverse. If the camera image is upside down. Just click the reverse button. Record and take live video of any flight. Take pictures. All on a seperate platform. Miwifi extender capable Including mods... Raul will love this! Anything that can cut a small wire. Oh and the BIG one VR capable!!!!!!!!!!!!!!!!!!!!!!!!!!!!!!!!!!!!!!!!!!!!!!!!!!!!!!!!!!!!!!!!!!!!!!!!!!!!!!!!!!!!!!!!!!!!!!!!!!!!!!!!!!!!!!! am I the only one who is confused? What is this about? If it looks lick click bait, has clicks like click bait, so it must be click bait. I have no clue. I got it: You joined the marketing folks for this kickstarter micro drone 4.0 ! Gonna try to get it up in the next couple hours. NO splashy graphics, NO fanfare, NO fancy sound effects. The entire video will only take 2-3 minutes Including mod time and showing examples of what you can do with this mod. OK I am running behind a little because I wanted to test a couple of bonus features first. Everything is working way beyond my expectations. Give me another hour. It will be worth it! held my breath as long as I could. almost dead now. good night! Sorry for the delay. The vid is uploading now!!! I was planning on doing everything in 4k but it blew up my computer. I will start a New thread using the YT title. All of this was kinda thrown together. I just figured out the mod yesterday. The videos to follow will be properly edited with graphics and hooplah and such. I would appreciate any suggestions you may have. It's going to be cool to see what this forum will come up with what u can do with this mod. Cool idea for shooting straight down.